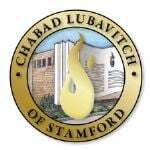 Welcome to our Shabbos Groups! One of the main attractions of Chabad's Shabbat Services is the "Shabbos Groups"; a full program of well supervised activities for ages 1-10 years. The children are divided into age appropriate groups and led by energetic instructors from 10:30am-12:00pm on Shabbat day. They experience the joy of Shabbat in their own special way within the Shul and close to their parents. Kids love this program and learn a lot in the process ensuring that your visit to Chabad will be a meaningful and enjoyable experience for the entire family.